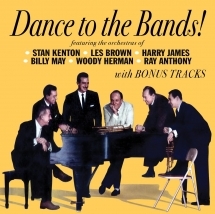 Starring six top orchestras: Ray Anthony, Les Brown, Woody Herman, Harry James, Stan Kenton, Billy May & rare tracks. 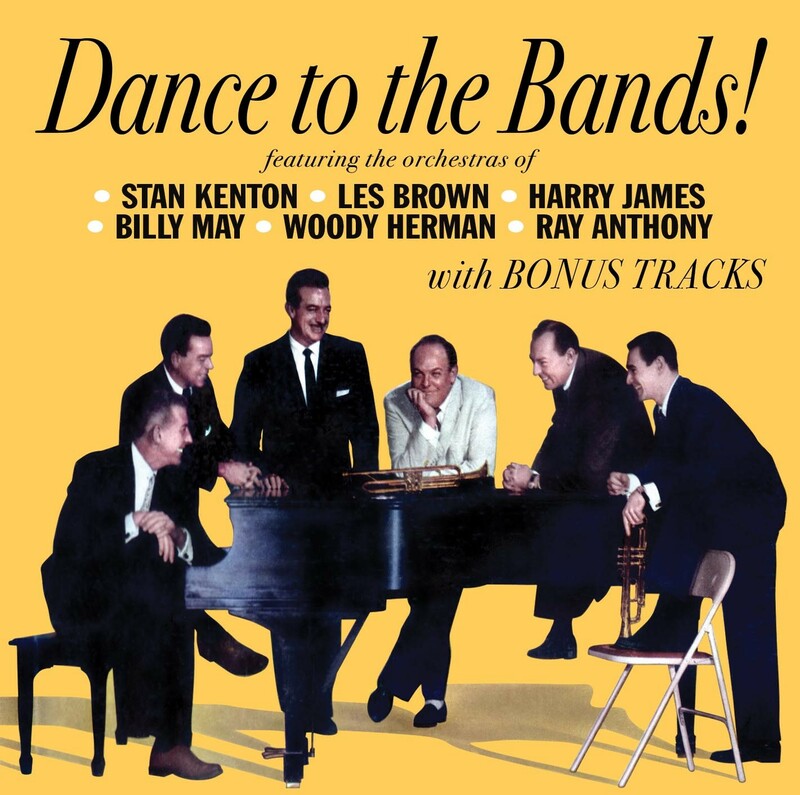 A do-it-yourself dance party in hi-fi, with 18 tunes played by six of the top name orchestras of the mid-1950s: Ray Anthony, Les Brown, Woody Herman, Harry James, Stan Kenton, and Billy May, from the Capitol album "Dance to the Bands!." Plus, as a bonus, 5 songs (including one with guest Buddy Rich on drums) that have never been on CD before. The booklet will delight collectors, adding period images, liner notes that put the music in context, a discography which provides recording dates, personnel, and a necrology of band members.